L Company, 329th Infantry Regiment "World War One Envelope"
This is an original censored WWI AEF Cover dated September 19, 1918 and is franked with stamp "Soldiers Mail". 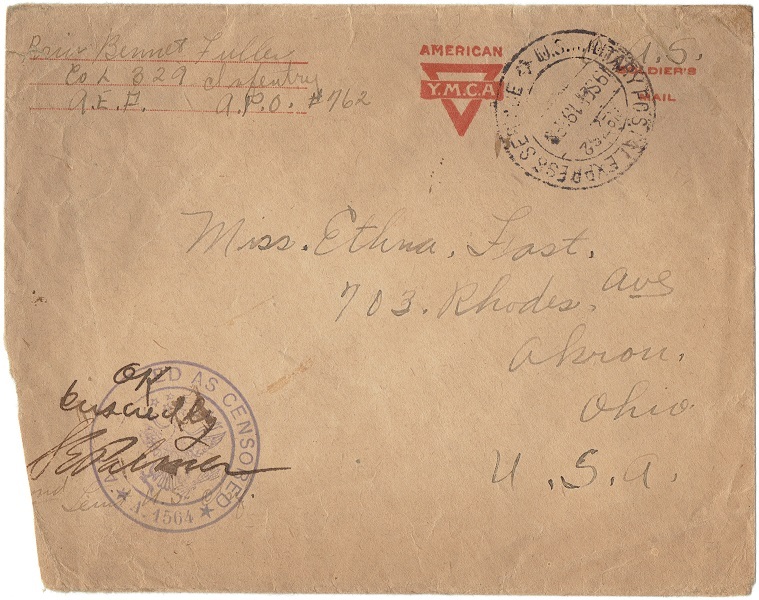 The envelope was sent by Private Bennet Fuller to his sweetheart Miss Ethna Fast in Akron, Ohio. Nevertheless the envelope contains nothing. The address the envelope was sent from was APO #762 which was somewhere in France on this date. 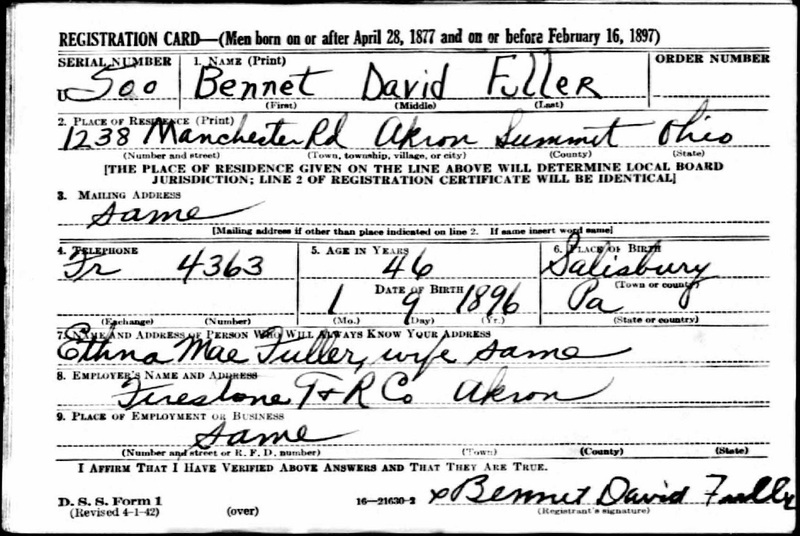 BENNET DAVID FULLER was born on January 9, 1896, in Salisbury, Pennsylvania to Lewis and Sadie (Curtis) Fuller. 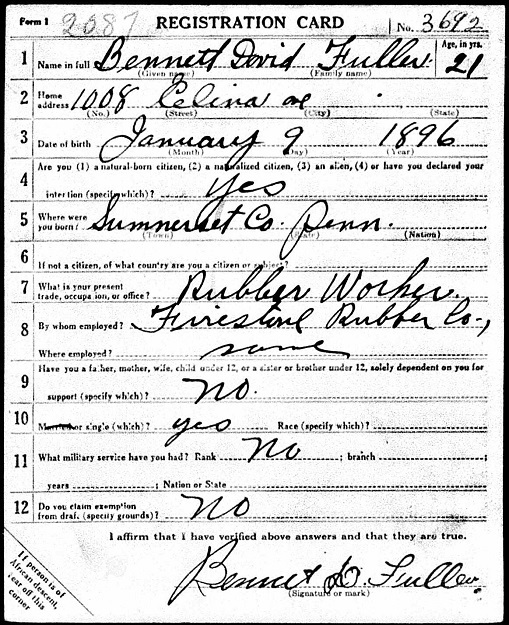 Bennet D. Fuller (#3187788) 22 years old at that time, enlisted in the Army on May 29, 1918 in Salisbury, Pennsylvania. After joining the military he trained at Camp Gordon, Georgia with the 1 replacement regiment, before going overseas as part of the Automatic Replacement regiment. In France he joined the 329th Infantry Regiment on August 14, 1918 for further training. A month later, on September 26, he was assigned as a private to Company K, 6th Infantry Regiment, 5th Infantry Division. He served with this unit in the Meuse-Argonne campaign and was severly wounded in the final days of World War 1. 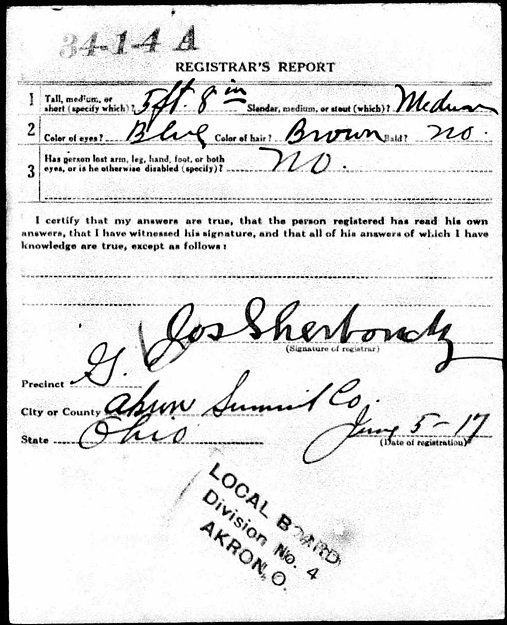 Upon returning to the US on December 20, 1918 he was honorably discharged on February 1, 1919. 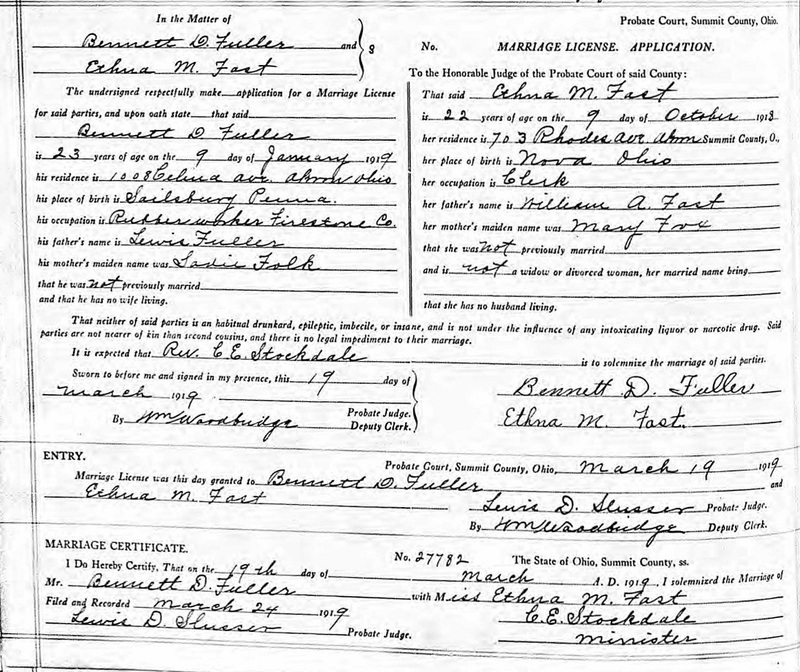 Bennet Fuller died on June 18, 1984, in Akron, Ohio, at the age of 88.